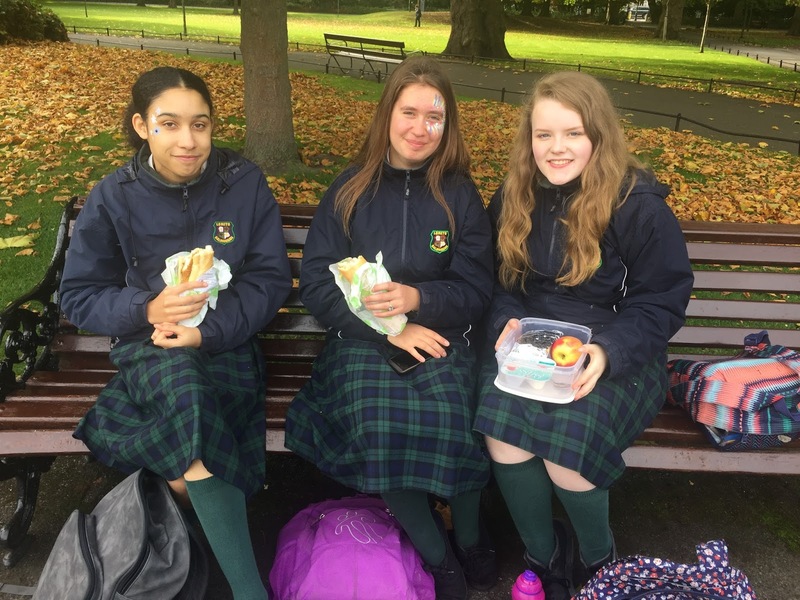 On Friday the 6th of October Ms Grace and Ms Finneran’s JPIC classes took a trip into Dublin city where we visited the Department of Foreign Affairs and Trade to learn about Ireland’s international aid programme. The bus departed the school at 9:30am, we sat back and watched the green fields of Fingal transform into tall city buildings. We got off the bus on St. Stephan’s Green and were challenged with a treasure hunt of sorts. We were given a sheet of questions in relation to JPIC and we had to find the answers on Grafton Street and its surrounding areas. 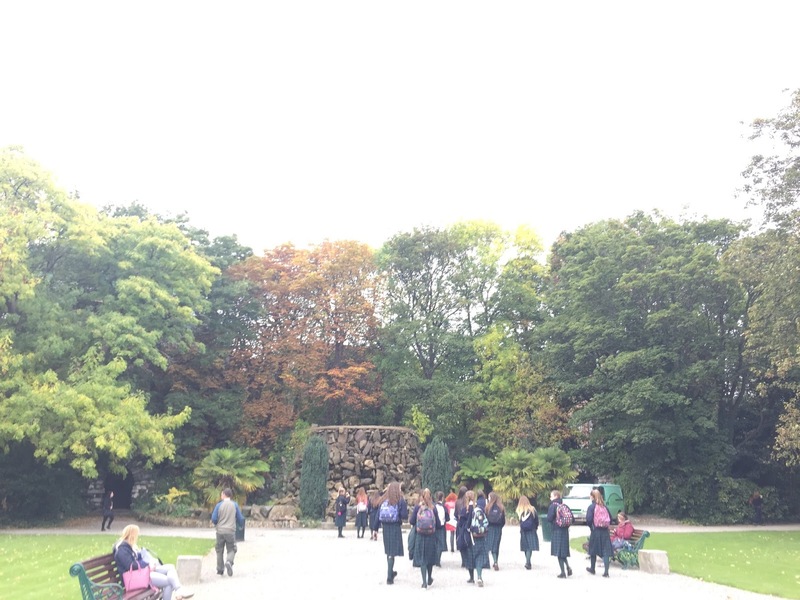 In a group of six we set off to answer the questions quickly so that we could enjoy our lunch leisurely in the green. At 11:40 we met at the entrance to the park and began walking to the Department of Foreign Affairs and Trade which is on Clonmel Street, a quick three minute stroll. When we arrived, we played a game that helped us to understand how a family in Malawi survives year to year whilst battling draught, blight and hunger. Each team represented a family living in the village of Kulungira in Malawi and we had to play to live essentially, responding to challenges and scenarios that occurred over the course of the three year period. This game opened our eyes to the instability of life in Sub-Saharan Africa. The smallest of events can throw everything up in the air and cause complete and utter disaster for a family. After the game was over we watched a video summarising the work of Irish Aid in multiple countries. We learned about a girl called Memory, who was 18 years old but still attending primary school because she had been held back by the work that she had to do at home. This made us realise our privilege, here in Ireland we beg not to go to school and Memory must beg to go to school. All in all, it was an eye opening, educational trip. We all gained an appreciation for school, for our health and for the stability in our lives, the fact that we know that there will always be food on our tables.